Browse for Mobility Scooter Batteries by make and model. 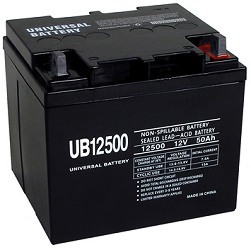 Replaces: All similar sized 12 Volt 4Ah and 4.5Ah scooter batteries. 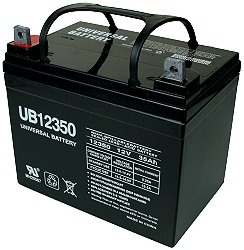 Replaces: All similar sized 12 Volt 7Ah and 7.5Ah scooter batteries. Replaces: All similar sized 12 Volt 9Ah scooter batteries. Size: 5-7/8" long x 2-1/2" wide x 4-5/16" high (151mm x 65mm x 112mm). 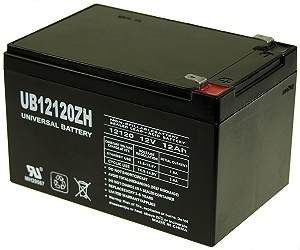 12V 12Ah electric mobility scooter or power chair battery. 12V 18Ah electric mobility scooter or power chair battery. 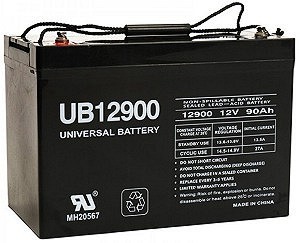 Batteries over 18 Ah are too large to be shipped in a flat rate box. 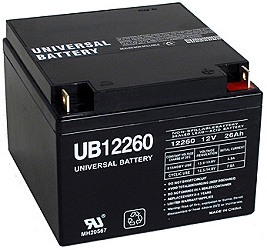 12V 26Ah model UB12260 electric mobility scooter or power chair battery. Size: 6-5/8" long x 6-7/8" wide x 5" high. 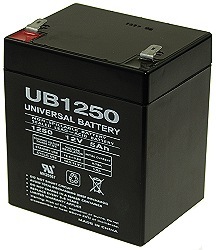 12V 35Ah model U1-34 electric mobility scooter or power chair battery. Size: 7-5/8" long x 5-1/8" wide x 7" high. 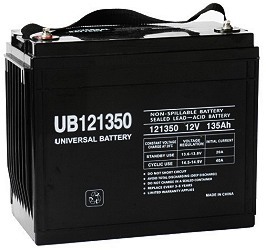 12V 35Ah model UB12350 electric scooter or power chair battery. Size: 7-5/8" long x 5-1/8" wide x 6-1/4" high. 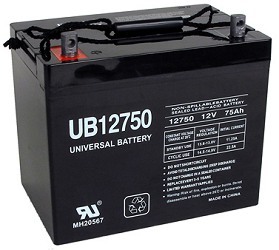 12V 50Ah model UB12500 electric mobility scooter or power chair battery. Size: 7-3/4" long x 6-1/2" wide x 7-3/16" high. Size: 7-3/4" long x 6-1/2" wide x 7" high. 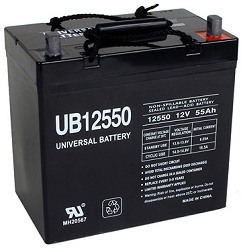 12V 55Ah model UB12550 electric mobility scooter or power chair battery. Size: 9" long x 5-3/8" wide x 9-1/8" high. 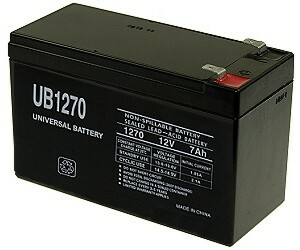 12V 75Ah model UB12750 electric mobility scooter or power chair battery. Size: 10-1/4" long x 6-5/8" wide x 9-1/8" high. 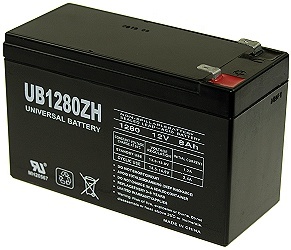 12V 90Ah model UB12900 electric mobility scooter or power chair battery. Size: 12" long x 6-5/8" wide x 9-1/8" high. 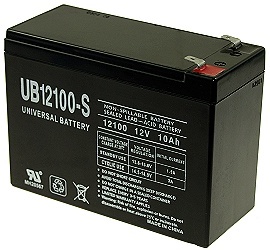 12V 100Ah model UB121000 electric mobility scooter or power chair battery. 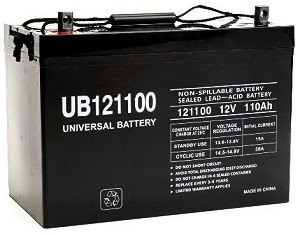 12V 110Ah model UB121100 electric mobility scooter or power chair battery. 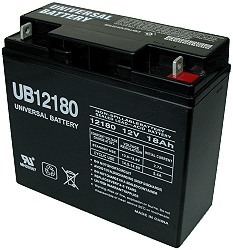 12V 135Ah model UB121350 electric mobility scooter or power chair battery. Size: 13-3/8" long x 6-7/8" wide x 11-1/8" high. 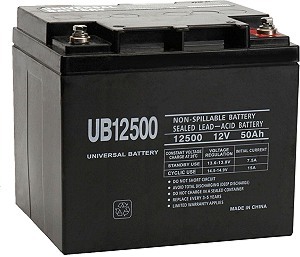 6V 200Ah model UB12750 electric mobility scooter or power chair battery. Size: 10-1/4" long x 7-1/8" wide x 10-1/8" high. 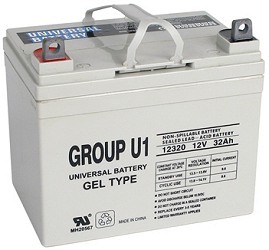 12V 32Ah model U1-GEL electric mobility scooter or power chair battery. 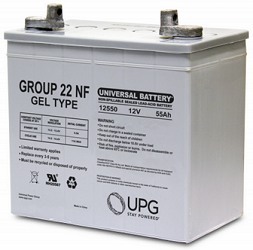 12V 55Ah model 22NF GEL Type electric mobility scooter or power chair battery. Size: 9" long x 5-1/2" wide x 8" high not including posts, 9-1/4" high including posts. 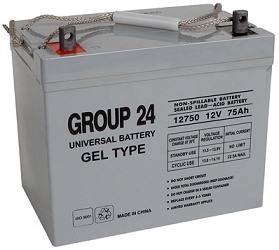 12V 75Ah model UB24/GEL electric mobility scooter or power chair battery. Size: 10-1/4" long x 6-5/8" wide x 9-1/4" high. 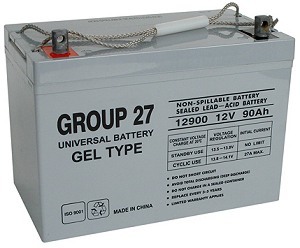 12V 90Ah model UB27/GEL electric mobility scooter or power chair battery. Size: 12-1/16" long x 6-3/8" wide x 9-1/8" high. 12V 100Ah model UB30H/GEL electric mobility scooter or power chair battery. Size: 10-7/8" long x 6-3/4" wide x 9-1/4" high. 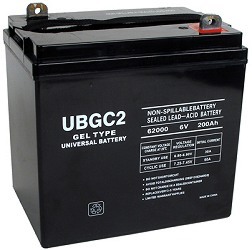 for help finding the right size batteries call us toll-free at 1-800-908-8082. Recharge mobility scooter and power chair batteries on a nightly basis. 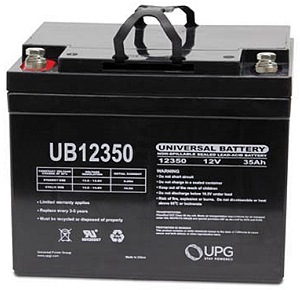 When replacing mobility scooter or power chair batteries replace all of the batteries at the same time and with the same brand of batteries. Do not throw old batteries in the trash. Drop them off at a local recycling center or auto parts store for proper disposal.